Tomb Raider The Movie Trailer!!! The trailer for the new Tomb Raider movie is out, and I can't wait to see this film. This portrayal of Lara will be a stark difference from the Angelina Jolie movies. The new Tomb Raider will be gritty and action-packed. This is due to the reboot of the game series. It's clear to anyone who has played the game that the film has taken a lot of it visually. Lara's outfit, scenes that were featured in the game (Lara's ship being caught in a storm), the island Lara is on, and using a climbing pick as a weapon, are all pulled directly from the game. Now though it is heavily influenced by the game, the story will be much different from the game. So, if you are like me and can't wait you should definitely check out both games in the series Tomb Raider and Rise of the Tomb Raider. They're both really great games. Lara will be played by Academy Award winner Alicia Vikander. Tomb Raider also stars Dominic West (Money Monster, 300), Walton Goggins (The Hateful Eight, Django Unchained) and Daniel Wu (AMC's Into the Badlands). I'm super excited to see the film as a fan of the game I'm interested to see this portrayal of Lara. 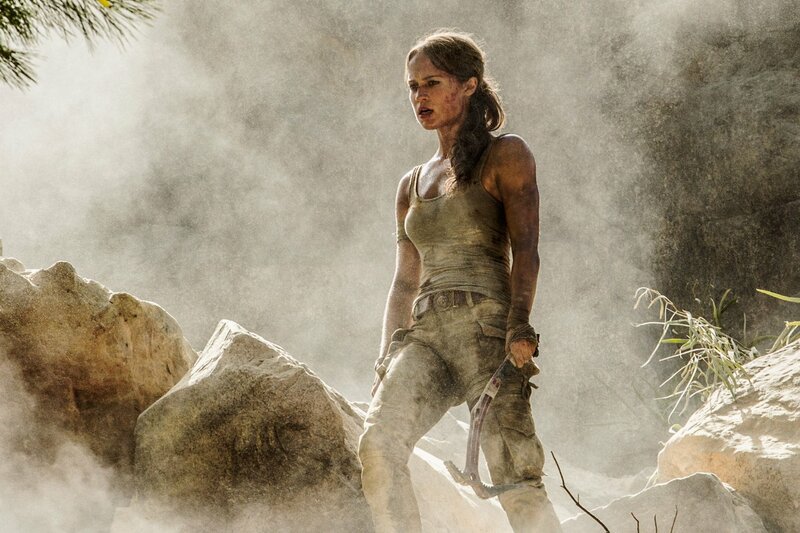 Check out the Trailer for Tomb Raider! 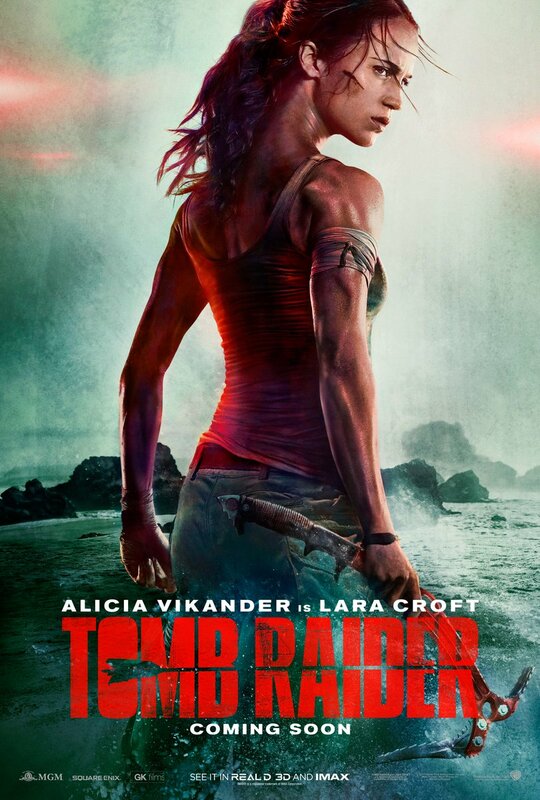 As stated above the film is heavily influenced by the 2013 Tomb Raider video game. Check out the side by side comparison of the video game trailer and movie trailer below.